With less than two weeks to go before we head to Stendhal we’ve all got festival fever. Luisa and I have been looking at lots of photos from last year and chatting about the fun things she can expect to see and do there. Something we’re both really looking forward to is the bright glittery hair and makeup looks – Lu loves to watch those super speedy videos on Instagram and practice giving me new ‘hair dudes’ as she calls them. 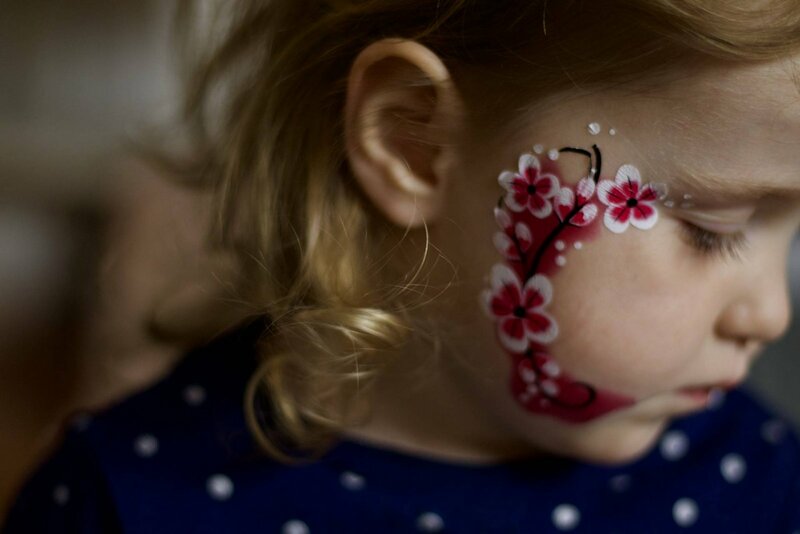 One of my top tips for festivals with young children is to bring lots of cheap engaging accessories with you. Things like bubbles, inflatables, novelty hats and balloons take up very little space and save you both time queuing and money at the event. 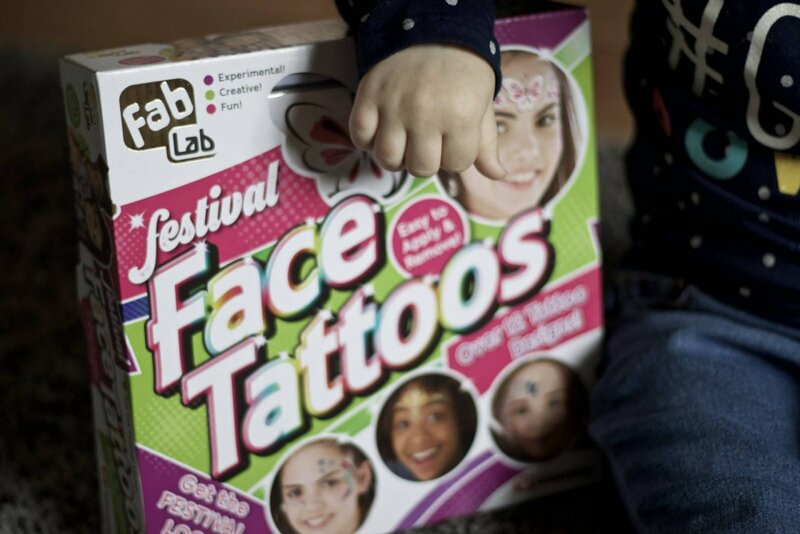 This year we’ll be bringing along a few designs from the new FabLab Festival Face Tattoo kit to make our festival looks even more fabulous and provide some extra entertainment for Luisa. Read on to see our first impressions of the kit and enter to win your own. 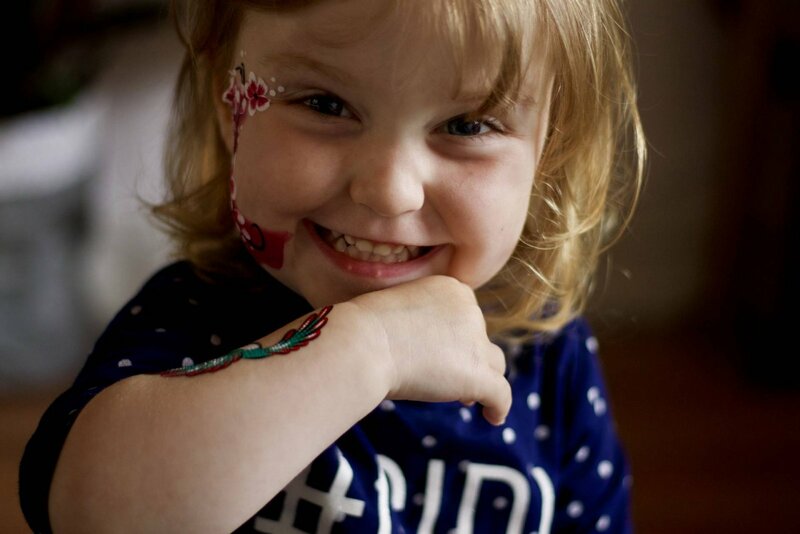 There’s over 12 tattoos included in the set, it features a range of larger designs such as unicorns, flowers and dolphins as well as smaller hearts and stars. All of the tattoos are bright and eye catching, some even have glitter. 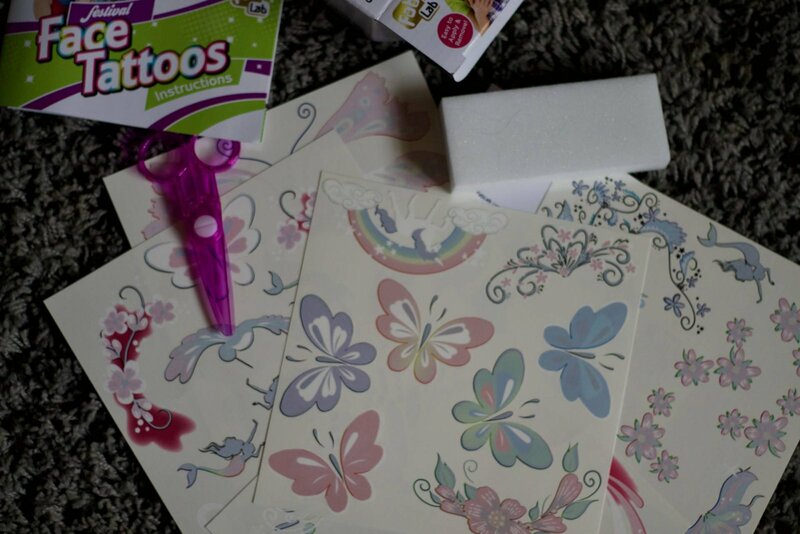 Pictured above are the five main sheets, there are also two smaller pages just for glitter tattoos, I’ve personally nabbed some of the those and set them aside to use myself at Stendhal. It’s worth noting that the scissors which come in the kit are not very good at all. 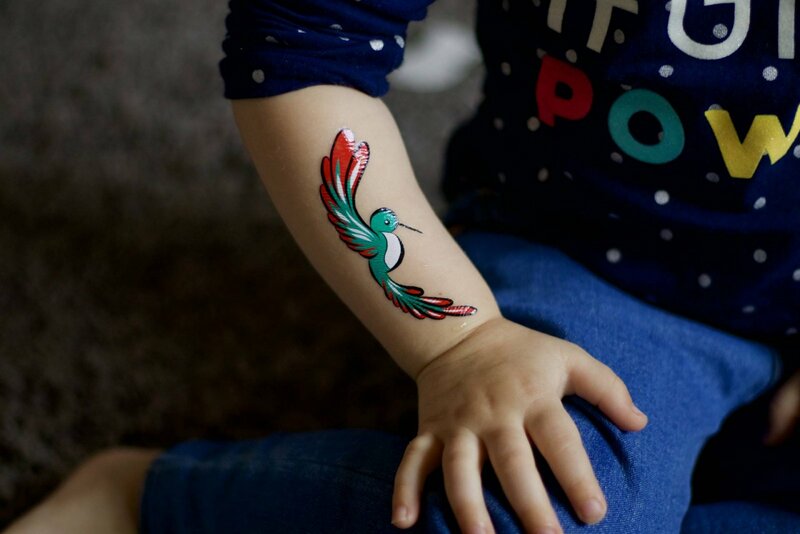 I found the tattoos really easy to apply and was impressed with how bright and detailed they are. 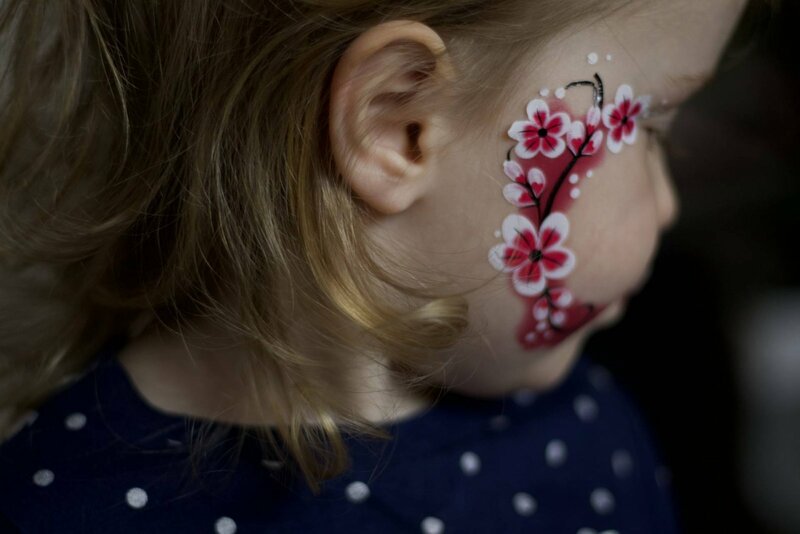 Some even look like and elaborately painted designs which would require you to sit still for much longer than 30 seconds – not easy when you’re only three! You’ll actually notice one of the white flowers close to her ear hasn’t fully ‘set’ as she was far too excited to let me dab it all carefully with the sponge. Speaking of age, this kit is most likely going to appeal to children aged 6 plus as they’re going to be able to use it reasonably independently. That said, Luisa loved it and I’m happy to report she experienced no skin irritation at all. 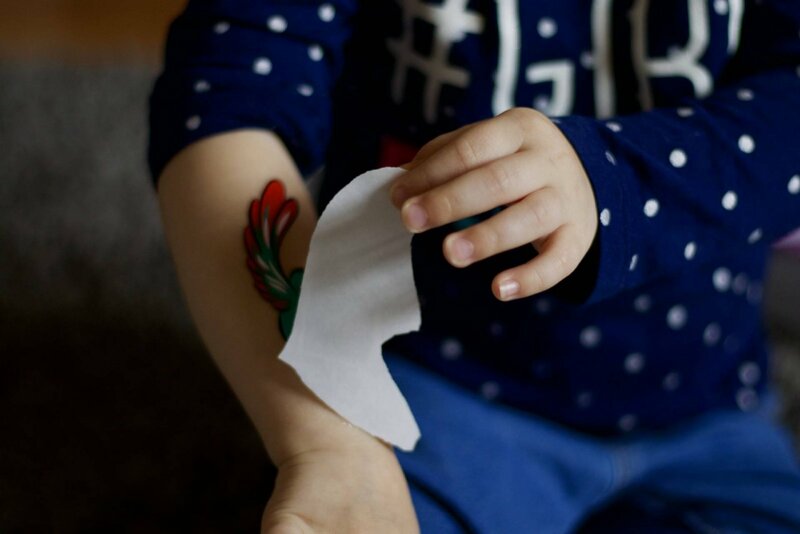 The tattoos are all non toxic, hypoallergenic and contain no harmful chemicals. 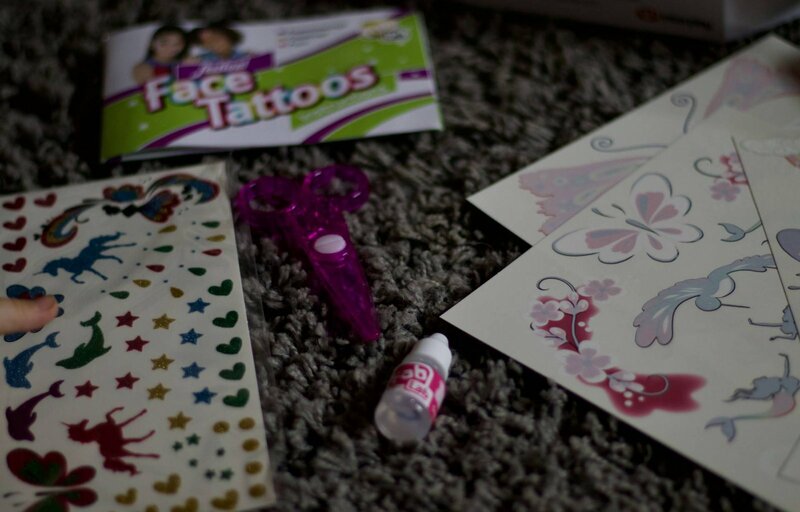 Removing them tattoos is also quick and easy with the help of some baby oil (supplied). I mean look at that face, she’s in the club with her new tattoos! All in I think the FabLab Festival Face Tattoo Set is a great product, it retails at 12.99 and contains five sheets of tattoos so we’ll be able to use them several times over the course of the summer. Use the form below to enter to win a kit of your own.